Knowing that the day is coming when your loved one -- won't know you-- is the most horrific feeling of them all for an Alzheimer's caregiver. AFR is an Alzheimer's Reading Room companion website. Looking back, it all started long before anyone knew. The dementia. Sometimes I wonder how my mother was able to drive herself to bingo at night, do the grocery shopping, and live a semblance of a normal life. All the time living under a dark cloud that not even she could recognize. I now know the signs of dementia. What to look for. What you should be looking for as your parent, or grandparent, ages into their 80s. I didn't know back in 2003. Maybe I should have known, when my mother ran her car over a concrete abutment, and scraped off the entire side of her car on a tree. I was told the car was not that bad. Two days later and on the scene, I found out the car was totaled. Nobody could figure out what happened. We assumed her foot slipped off the brake. Several people said to me -- she's getting old. Fortunately, my little tiny five foot tall, 87 year old mother was just fine. At least that is what she and all the doctors told me. Relief. While I accepted it at the time I just knew something was not right. This was the beginning for us. Over the next several months as the evidence added up, I kept hearing these fatefully words -- she is getting old. This was the sum total of all the advice I received. Looking back, I wish someone had said to me, "have you consider getting her memory checked", or a neurological examination. I thought, erroneously, that her personal care physician would let us know if that was necessary. After she ran her car into the wall they assured us she was given every appropriate test and she was fine. One out of every two people over the age of 85 suffers from some form of dementia, usually Alzheimer's disease. I wish I had know that back then. If I had I would have taken immediate action. Do you know anyone nearing or over the age of 85? Tip #1 -- if you know someone over 80 consider getting them a simple memory check every one to two years. Bob DeMarco is an Alzheimer's caregiver and editor of the Alzheimer's Reading Room. The Alzheimer's Reading Room is the number one website on the Internet for insight into Alzheimer's disease. Bob taught at the University of Georgia, was an executive at Bear Stearns, the CEO of IP Group, and is a mentor. He has written more than 600 articles with more than 11,000 links on the Internet. 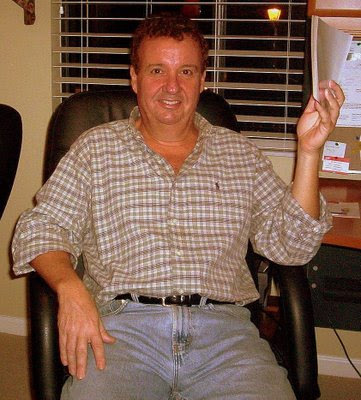 Bob resides in Delray Beach, FL.